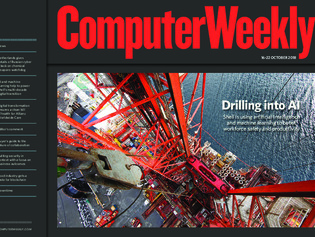 In this week’s Computer Weekly, we find out how oil giant Shell is using artificial intelligence and machine learning to boost workforce safety and productivity. We analyse the attempted Russian cyber attack revealed by the Dutch government. And we look at how blockchain is being used in the food and drink industry to improve supply chain management. Marcella Flood, head of digital transformation at Allianz Worldwide Care, discusses how the company is dealing with legacy systems while working on a data-led transformation that is underpinned by standards. In the final part of our buyer’s guide to the future of collaboration, we look at Chromebooks as collaboration clients, both in Google-oriented and mixed-platform environments. Understanding data assets and their value to attackers is key to effective cyber defence, as one industry veteran explains.